Foundation volunteers make a big difference. To learn more about volunteer opportunities, please use the contact form below. Special community events — As a community event volunteer, you can assist with overall event planning, or simply help at the event itself. Annual used book sale — lend a hand by processing book donations as they come in, research and post books to be sold online, or work at the book sale. Community book mural — Bring your creative talents to the book mural project by helping to design and paint donor book spines. You may even want to use your skills and interests to build your own fundraiser. Marketing campaigns and communications — Help with tasks related to social media, website, blog postings, writing and/or multimedia capturing and posting, as well as donor communications and database management. Grant research / writing — Conduct research to identify appropriate grant programs; write and submit Foundation grants proposals. Foundation Board — The board is only as effective as the people who set and manage strategies that will promote our mission. 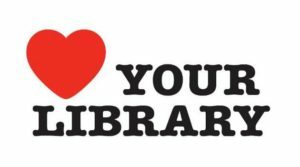 If you have a passion for the Library, consider joining the board.